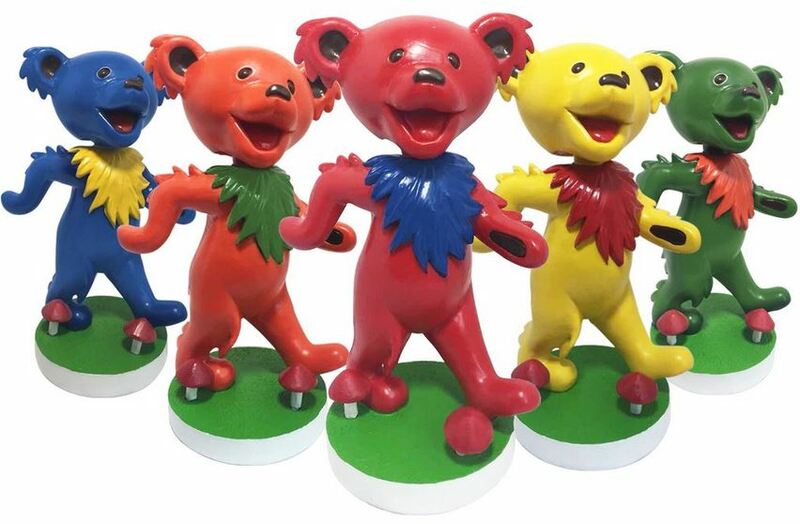 LONG ISLAND, NY (May 15, 2018) – Kollectico announced today that it has partnered with Grateful Dead Productions and Rhino Entertainment on a line of custom and collectible bobbleheads inspired by the iconography of the Grateful Dead. The officially licensed collection launches with limited edition Dancing Bear bobbleheads. The bobbleheads are 100% handmade, hand-painted and packaged in full color Collector boxes. 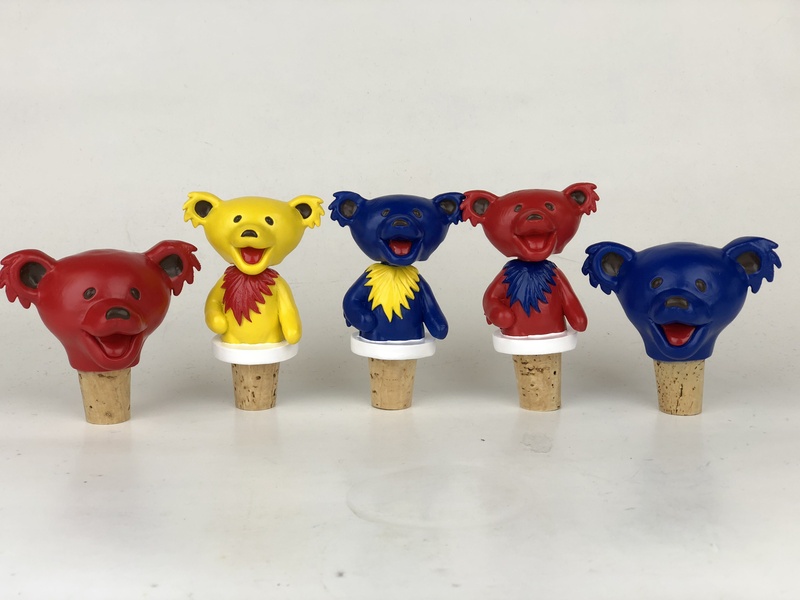 Grateful Dead fans will also be able to order their very own custom bobblehead wearing a Steal Your Face, Dancing Bears and more! 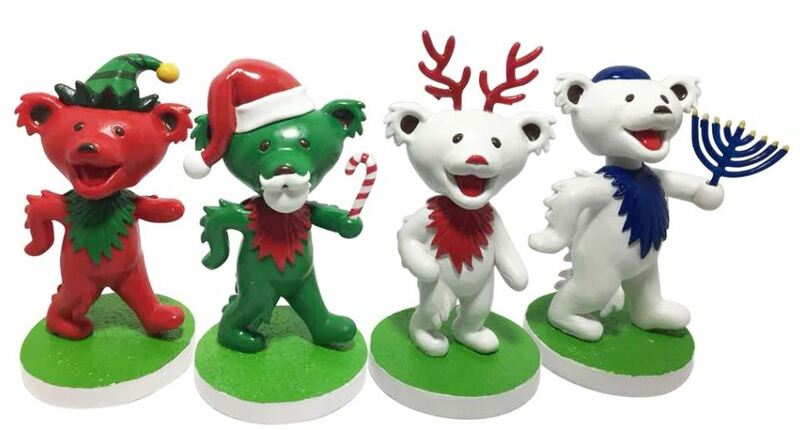 Other collectibles include the Dancing Bears Holiday Set and the iconic Dancing Bears as bottle stoppers. “The Grateful Dead’s unique, diverse and extraordinarily fun iconography lends itself to so many artistic forms and interpretations, and we’re thrilled to see these iconographic images come to life in the form of Kollectico’s bobbleheads,” says Grateful Dead archivist David Lemieux. Grateful Dead bobbleheads will be available for purchase online at BobbleBoss.com and other retailers. Located in Long Island, NY, Kollectico is one of the world’s largest manufacturers of custom bobbleheads with 13+ years’ experience. The bobbleheads are 100% hand sculpted and hand-painted for the highest quality. Kollectico has licenses with the NHL, Discovery Channel, Uncle Drew, Grateful Dead, Bigfoot 4×4, Professional Bull Riders and more. For more information visit www.Kollectico.com.